Higher education is looking for inspired, innovative leaders. The field has gotten so complex and competitive that trustees, search committees, and HR managers are swinging for the fences, looking for home-run hires. This is especially true regarding presidents. It applies as well to chief diversity officers as the demands of their positions have expanded dramatically. Yet boards and hiring authorities are petrified of striking out. Selecting the wrong president, CDO, advancement officer, CFO, or other top administrator can have dire consequences. It can set the institution back years or, in an era in which colleges and universities are literally going out of business, worse. It pays to exercise caution in key personnel decisions. Know what you want and need before you start looking. One of the first questions I hear upon commencing a recruitment is, “Who can we get?” It is a valid question: What individuals are available that might consider the position and our institution? It is exciting to name names and consider prospects. Before this question is taken up, however, the question of “What do we really want?” must get considered. What does the ideal leader look like for this position in our institution? What will success look like? What outcomes must this person achieve in the next year? In the next five years? The answers to these questions will lead to a profile of the ideal candidate to drive the recruiting process. Such a leadership profile avoids putting the cart before the horse and introducing greater risk into hiring. Conduct succession planning and talent development. I speak with many institutions who understand that their current administration is getting older – the graying of leadership is an industrywide phenomenon that ACE and other organizations have been tracking for years – but cannot identify a robust next generation on campus to succeed them. Colleges and universities can rely only so much on recruiting leaders from the outside. For this reason succession planning has taken hold in higher education whereas it was primarily the domain of corporations in the past. Succession planning entails identifying the best and brightest faculty and administrators within the institution and supporting their growth and development. Not all will stay, of course, but enough will. Succession planning has ties to an institution’s ability to recruit diverse candidates. Women and underrepresented minorities know when an institution is being sincere about diversity and inclusion; succession planning can be a sign of a welcoming and progressive culture. Go deeper in interviews. Minimizing risk requires learning more about what makes candidates tick than has been customary in the past. I am a believer in “deep dive” interviews of finalist candidates, exploring the why and how as much as the what of an individual’s past: “Why did you decide to leave that position?”; “What did you do to provide leadership on that project and what were your key takeaways from that experience?”; “How did you get people on board? Tell me about an instance where you encountered resistance and what you did when you met with that.” This type of investigation also has relevance for hiring aimed at promoting diversity. What is the candidate’s track record of expanding diversity on campus? With whom did he/she collaborate with to accomplish goals and find career success? These questions can tease out important information about potential hires. Assess candidates for competencies and leadership potential. Every presidential search and many other position recruitments that my firm conducts today include psychometric assessment of finalist candidates and an evaluation of how these individuals stack up against the core mission and strategic objectives of the institution. Boards are beginning to expect this type of insight, a far cry from even five years ago. Today’s assessment methodologies explore candidates’ leadership traits ― e.g., creativity, integrity, passion for work ― as well as their potential for success within a given institution. Assessments are particularly helpful, and risk-minimizing, regarding “nontraditional” candidates. Candidate A might hail from the business community, Candidate B from the political arena, and C from a much smaller institution. Whether nontraditional leaders will fit in or be fish out of water on one’s campus is something that can be evaluated, increasing the likelihood that the right hire will be made. The position profile, succession strategy, interview findings and assessment results provide context and guidance for a new hire’s early tenure. They set the stage for success. In hiring, it is possible to think big while still protecting oneself against undue risk. 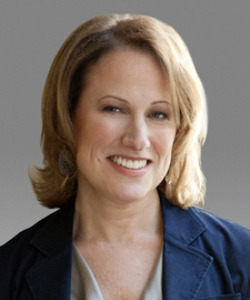 Robin Mamlet is managing partner of the Education Practice at the executive search firm Witt/Kieffer. She draws on nearly 30 years of experience in education, including 23 years in college and university leadership.